The developers of the old Gold Coast Hospital site, Property Solutions, are weeks away from launching their new project to the market – Queen Street Village, a $550 million integrated master-planned community. The 3.2 hectare old Gold Coast Hospital site bound by Queen Street, Nerang Street and Little High Street, is set to transform Southport, pending an approval by Gold Coast City Council. 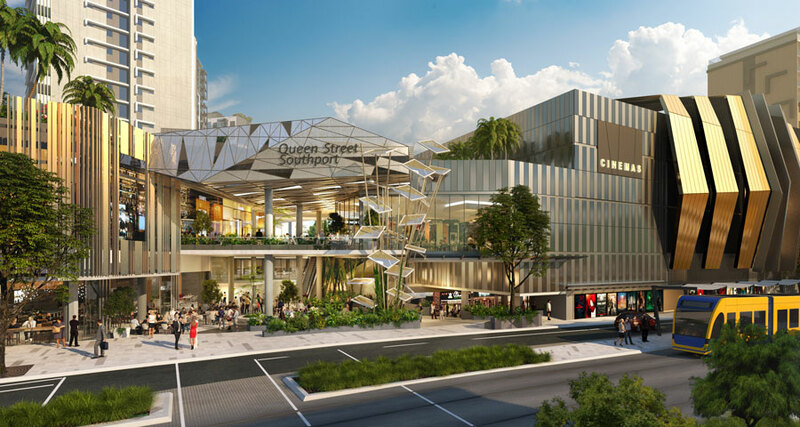 Queen Street Village will be a fully self-sustainable and integrated master-planned community designed to incorporate medium-rise apartment towers surrounded by a retail and dining precinct, creating an urban village with entertainment, commercial office space, a medical centre and cinema. Brisbane-based developer, Property Solutions, is known for urban renewal projects such as James Street at Fortitude Valley, The Barracks at Paddington, SW1 at Southbank and the urban redevelopment of Nundah Village. 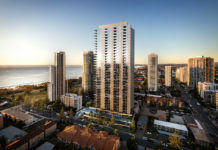 Property Solutions joint Managing Director, David Blanck, said they had been working with the council to ensure their vision for the site would benefit Gold Coast for years to come. “Our team is committed to transforming sites into vibrant retail, dining, entertainment and residential precincts,” he said. Southport was identified by Property Solutions as an ideal place to bring the vision of Queen Street Village to life because of its growing population, extensive public transport infrastructure and the rise in demand for multifaceted apartment living. Property Solutions Sales and Marketing Director, Craig Wright, said the team was in the final stages of development approvals for stage one and the marketing team was in preparation for a launch over the next month and into the New Year. 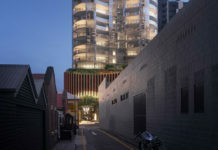 “Queen Street Village has been designed to encapsulate the true concept of community by offering an environment where people can work, live and play within a village-style precinct,” he said. “The unique mix of size, location and transport connections marks this site as ideal for a transit orientated mixed-use development master-planned to provide a range of uses that will ensure an active and vibrant gateway to the Southport CBD. Queen Street Village Marketing Manager and TOTAL Property Group Managing Director, Adrian Parsons, said with the development approval imminent, his team was finalising the marketing materials to present the sales plans to interested buyers, of which they had received a number of enquiries already. “With its prime position in the heart of Southport, Queen Street Village has already attracted interest from a number of businesses and individuals who recognise the great opportunity to be a part of the latest venture from Property Solutions,” he said. “Southport has long been established as the Gold Coast’s CBD, with strong transport infrastructure, and a network of businesses, private and public schools, shopping and medical precincts populating the suburb. I only asked why there is not even one word about architects…? After all they are ( with all due respect not Marketing Manager) responsible how this development is going to work and look like. I find this type of articles about new developments very uniquely… typical for Australia only. In every other country architects would be proudly presented with right to explain merits of their design.